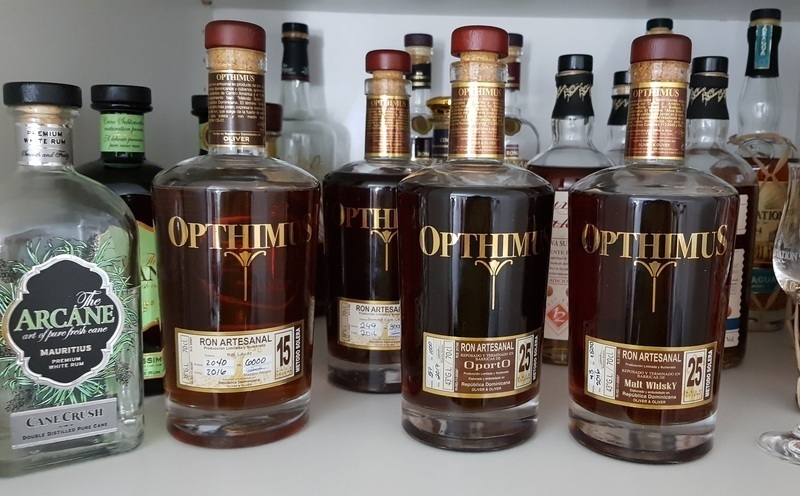 Have you found an online vendor selling Opthimus 25-Year? The nose is very full and sweet with thick caramel, fudge and vanilla. Nice but not a lot happening. I get the same notes in the taste, perhaps supplemented by dried dates. It's very sweet and smooth. The finish even things a bit with a long, rounded barrel note, but to me, it's not quite enough to counter the massive sweetness. A shame that Oliver & Oliver went overboard with the added molasses, as I think it slightly ruins what seems like a nice rum. As of this review, the Opthimus 25 is rated slightly lower than the Opthimus 21, but I think the 25 is better. The 25 is smoother, and simply tastes a little better imho. Has a sweet honey nose, with just a touch of bourbon and oak. Taste is also nicely sweet, with a hint of caramel. Easy drinking at only 38%abv. A very good rum. Si le paradis des rhums existe le mien est en république dominicaine chez OLIVER I Oliver, j'apprécie énormément leurs rhums et celui ci tout particulièrement. Lovely rum, sweet, complex, lot of taste, no alcohol feel - and do miss that a little bit. Paid $83 US. Neat: nose is light leather/tobacco with vanilla cooked maple. I’m fighting the sweet dry battle. This is a good sweet because it has notes walking it back. Can’t imagine many who like sweet complexity not having a bottle in their cabinet. After some time truly great drink! Ain't cheep, ain't bad, ain't normal. You have to had developed some fine rum taste buds to truly enjoy this rum without any additional sugars or caramel. Honestly, can't wait to have this one again. Job well done Master blender! Denne rom er Super lækker med mange smags nuancer, jeg bliver ved med at komme tilbage til denne rom da den bare er så god. This is probably the best from Oliver&Oliver, I would compare it to El Dorado 15y, but without the whisky taste and the prune is not as pronounced. Wonderful nose to this rum, on first pouring tobacco and leather, after breathing time the complexity really comes through sweet and perfectly balanced there's a touch of brandy with a side of sweet sherry it's incredibly inviting! It's ever so smooth, and with wonderful character it's a delight to drink! I had high expectations of this rum due to my Opthimus wishkey finish rating. It is a sweet rum with a really oaky aftertaste. It is ok for its priceclass, but I do not think the best. I drink my rum neat. I’ve tried several mid to high end sipping rums that I would consider 9’s. Some have come close to a 10 but I am the kind of person who believes there is always something better around the corner. This is the first of this brand I have tried and it is an absolute pleasure to drink. This is the way rum should be! Smooth, bold, and full of flavor with no lingering tastes. A must try!! This one of the best slippers out there. Price is not too high but taste is really Wonderful !! Very pleasant drinking, sweet, mild. I slightly prefer the port finish one, since that one has a bit more character and punch. The nose gets nuts, honey and prunes. In the mouth there is more of the same, a bit of oak and toffee. Long lingering. All in all very round. Classical stuff. Now that is the Way to make a rum. A long and smooth taste which just stats in your mouth for ever and ever. Eigentlich gar nicht so verkehrt und auch bei etwas mehr Zucker war er trinkbar und nicht UNendlich süß. Allerdings hatte ich deutlich mehr erwartet wenn ich sehe was der kostet. Auch die 25 auf dem Etikett ließ mich auf mehr hoffen. Daher insgesamt leider nur 4/10. Très bon. Se déguste sec. A mon gout on sent un peu trop le feu de l'alcool pour vraiment apprécier toutes ses qualités. La note de fin est longue en bouche, ça reste un très bon rhum. My second Opthimus. After the 15y younger Brother. Some floral notes, wood in the nose. Honey and toffee in the mouth, and wood again, but very nice. And a smooth aftertaste. Good stuff. Now I'm waiting to taste the Port and Whisky finish rum. Enjoyed back-to-back 25, 21, 18 and 15 year old Opthimus rums this weekend. 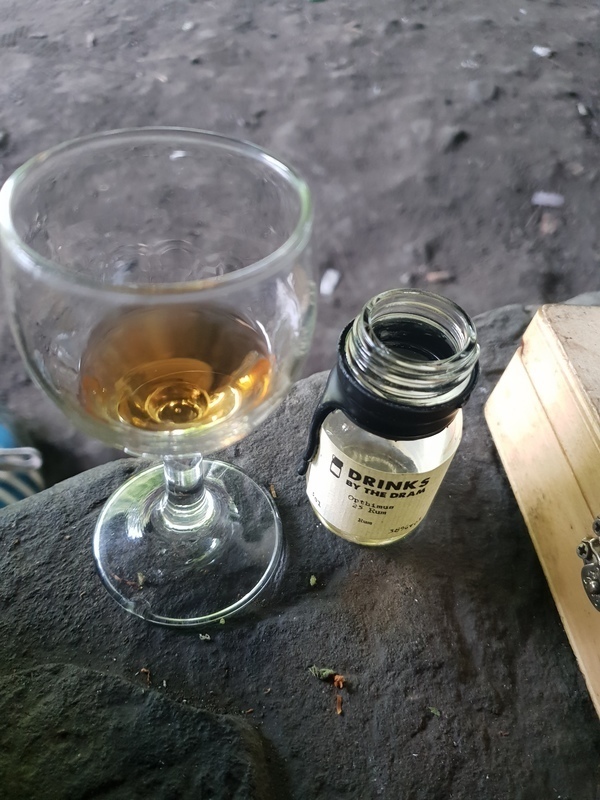 Surprisingly the 25 year old was not the best of the bunch since it had a very strong flavor profile without anything clearly identifiable and the after taste was like an old cellar. The burn was also surprisingly strong for a 25 year old rum. 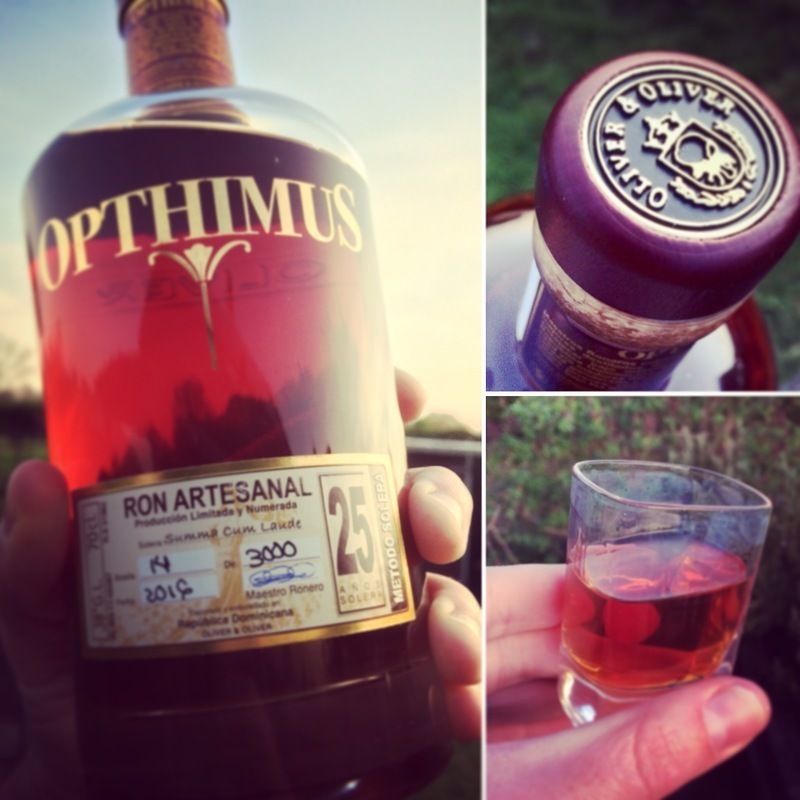 If you want to try Opthimus for the very first time, try the 21 year old and it will set you a very good benchmark. Got a little taste at the local tiki rum bar. Really delicious. Will need to come back for more.